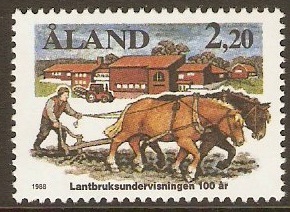 Unmounted mint 1988 2m.20 Agricultural Education Anniversary. SG31. 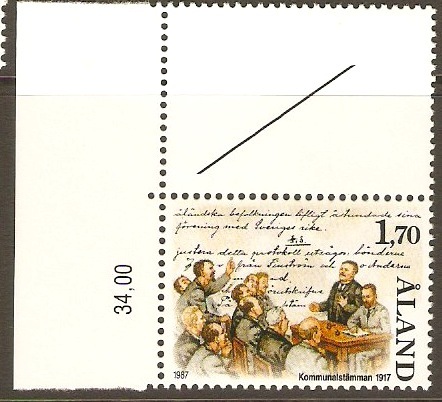 Aland Islands 1986 3m.70 Artists Colony Centenary. SG24. Unmounted mint 1986 3m.70 Artists Colony Centenary. SG24. Aland Islands 1987 Birds set. SG25-SG27. Unmounted mint 1987 Birds set. SG25-SG27. 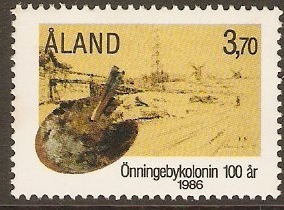 Aland Islands 1987 1m.70 Municipalities Anniversary. SG29. Unmounted mint 1987 1m.70 Municipalities Anniversary. SG29. 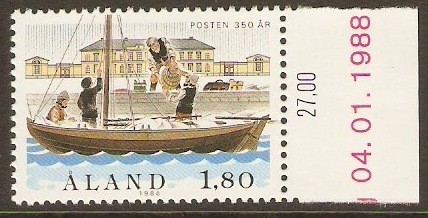 Aland Islands 1988 1m.80 Postal Service Anniversary. SG30. Unmounted mint 1988 1m.80 Postal Service Anniversary. SG30. Aland Islands 1988 Sailing Ships Set. SG32-SG34. Unmounted mint 1988 Sailing Ships Set. SG32-SG34. 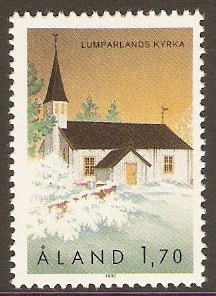 Aland Islands 1988 1m.40 St. Olaf's Church. SG35. 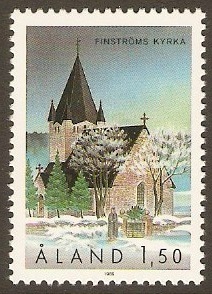 Unmounted mint 1988 1m.40 St. Olaf's Church. SG35. 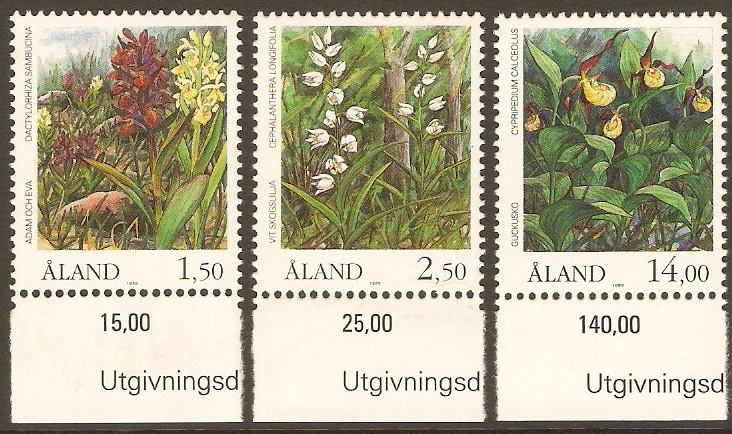 Aland Islands 1989 Orchids Set. SG36-SG38. Unmounted mint 1989 Orchids Set. SG36-SG38. 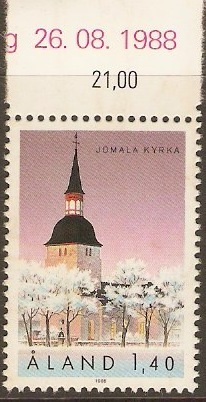 Aland Islands 1989 1m.50 St. Michael's Church. SG40. Unmounted mint 1989 1m.50 St. Michael's Church. SG40. Aland Islands 1990 1m.70 St. Andrew's Church. SG44. Unmounted mint 1990 1m.70 St. Andrew's Church. SG44.